I recently had to have a hard conversation with my ten-year-old daughter. She was working on an “Images of Greatness” project for her Key Club and chose to profile Coco Chanel. During her research, she discovered that Coco was rumored to be a Nazi sympathizer. She could not wrap her head around the fact that someone she admired and who had changed the face of fashion for women, could possibly have poor character. I told her I had had a similar experience when I was younger. I always looked up to Susan B. Anthony. We were always taught how she fought for women’s rights and earned us the right to vote. What is left out of the narrative is that while she may have purportedly fought for equal rights, she did not actually fight for all women. She left a large portion of women—specifically, women of color—behind to advance her agenda, and sadly we have not caught up. 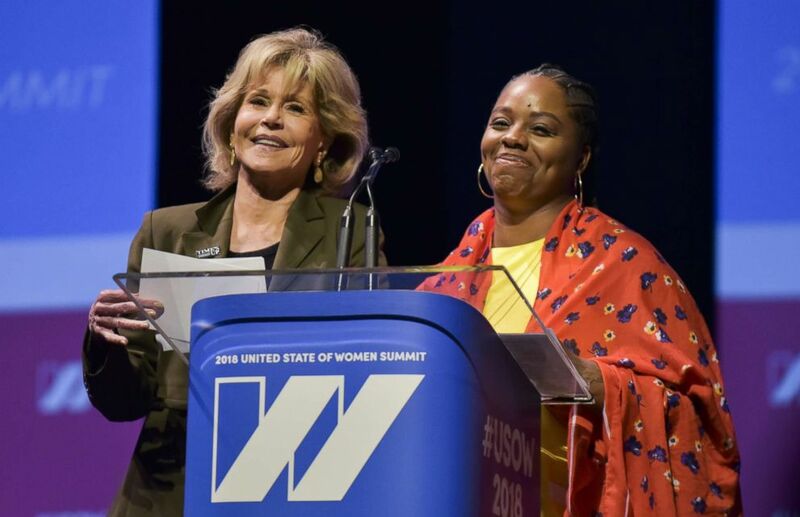 I was again reminded of this when I was chosen to be a YWCA delegate for the recent United State of Women (USOW) summit, held earlier this month in Los Angeles. I was both humbled and thrilled to be chosen. The USOW conference was everything I had hoped it would be, and it was also an eye-opening experience for me. I have been fighting for what I thought was right since I was a little girl and have been privileged to have a career that has allowed me to fight for women since. As inspiring as the conference was, it also allowed me time to process my own white privilege, and the understanding that I have been lucky and afforded opportunities in this work because I am white. I am lucky to have the opportunities I have had that have led me down the paths I chose, when many of my friends and sisters have not had the same experiences due to their race. It is not enough to believe in equality. We must do more. Until we can collectively come together to have a discussion about white privilege, we cannot move forward. We can no longer leave women of color behind. Hard conversations need to be had. They may make us uncomfortable. They may make us take a hard look at ourselves. But racial justice and intersectionality must be a priority for all women’s organizations; these need to be a priority for all women running for office; and need to be a priority for ALL women so we can bring a focus to the experiences of women of color and the LGBTQ+ community. We all know that when women set out to make change, change happens. I pledge to do my part to make that happen. I do not want to live in a world where I am remembered for fighting for only some women. I want to help facilitate the tough conversations. The time is now to join together because if the last year is any indication of what is to come, the fight is just beginning. 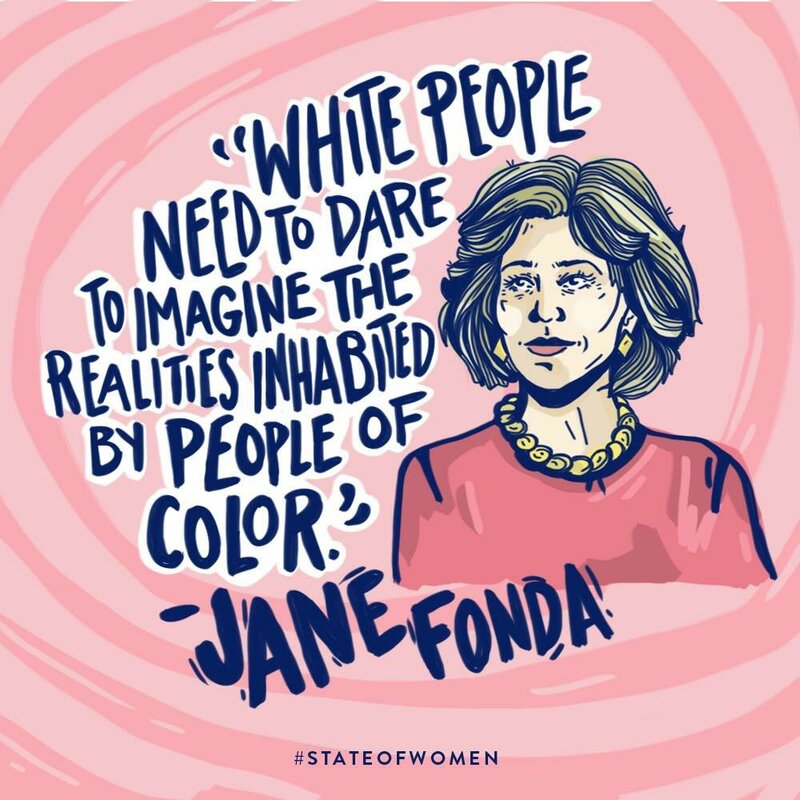 I will leave you with a quote from Jane Fonda that still resonates with me. “It takes more than empathy – it takes intention – to even begin to comprehend what people of color, no matter their class, face every day. And how much privilege, quite unconsciously, is enjoyed by those born white, even the poorest of us.” I am ready. Are you?